Patellofemoral syndrome is a condition of the knee that results in a discomfort around the kneecap due to mechanical issues. According to Ortho Associates physician Dr. William Heinz, this can be due to chondromalacia, a roughening of the undersurface of the knee cap, …... Studies have shown that the so-called patellofemoral pain syndrome comprises up to 50% overuse injuries. This syndrome is caused by an irritation or damage to the undersurface of the patella, or patellofemoral articulating surfaces, often inappropriately called chondromalacia patella. The knee is the most painful joint in people with knee hypermobility and patellofemoral pain syndrome is a common problem (Tinkle 2008). Additionally, the normal kinematics of the knee are affected by alteration of tibiofemoral mechanics. how to draw a samurai in armor Patellofemoral pain syndrome (PFPS) is a problem with pain that feels like it is mainly on the front of the knee, specifically on the underside of or somewhere around the edges of the kneecap. 1/08/2016 · Have you been experiencing nagging knee pain that just won't go away? This video goes in-depth about the following:-What is patellofemoral pain syndrome? how to say ldo you dance in french Patellofemoral pain syndrome (PFPS) is a term used to describe the pain that can occur in front of the knee and around the patella or kneecap. It may be called “runner’s knee” or “jumper’s knee” as it’s most common in athletes, although it can affect anyone at any time. Gently stretching can prevent tight muscles and help prevent patellofemoral pain. Tight muscles around your knees and hips (quadriceps, hamstrings, gastrocnemius, and iliotibial band) could be the reason your knees are so stiff and sore after running, biking, etc. 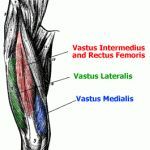 9/02/2012 · How to tape for Patellofemoral Pain Syndrome. http://www.SarahMilan.com. Forty-two percent of all overuse injuries affect the knee joint, and patellofemoral pain syndrome (PFPS), or simply "runner's knee," is the most common overuse injury among runners. Patellofemoral Pain Syndrome (PFPS) is a form of chronic knee pain that tends inflict people in all walks of life. The root of the problem is believed to be patella maltracking, which means that the patella is not always aligned with the designated surface of the femur.